Today is our 34th wedding anniversary. At the weekend we were in Scotland for the wedding of our friend Alwyn to her lovely new man, Bill. We are so pleased for Alwyn and look forward to getting to know Bill better over many years to come. I was a great day. It poured down! — about the only truly wet day this summer but it didn’t cast any cloud over the day. A piper piped the guests in and piped the bride and groom out. Kilts swung. Champagne flowed. Everything went according to plan and the bride was beautiful, as was bridesmaid Margaret, and the groom. We managed to scrub up okay too and we had some really lovely chats with a lot of people we’d never met before. in a very special kind of way. enough prawns and no waste. A daily dilemma every manager faced. Well that’s where these two have the advantage. to know what’s quality and when to BOGOF. That makes them the perfect pair. They won’t just work hard – they really do care. there be no breakages along the way. and may every hour together be top quality. Good people, raise your glasses if you will. 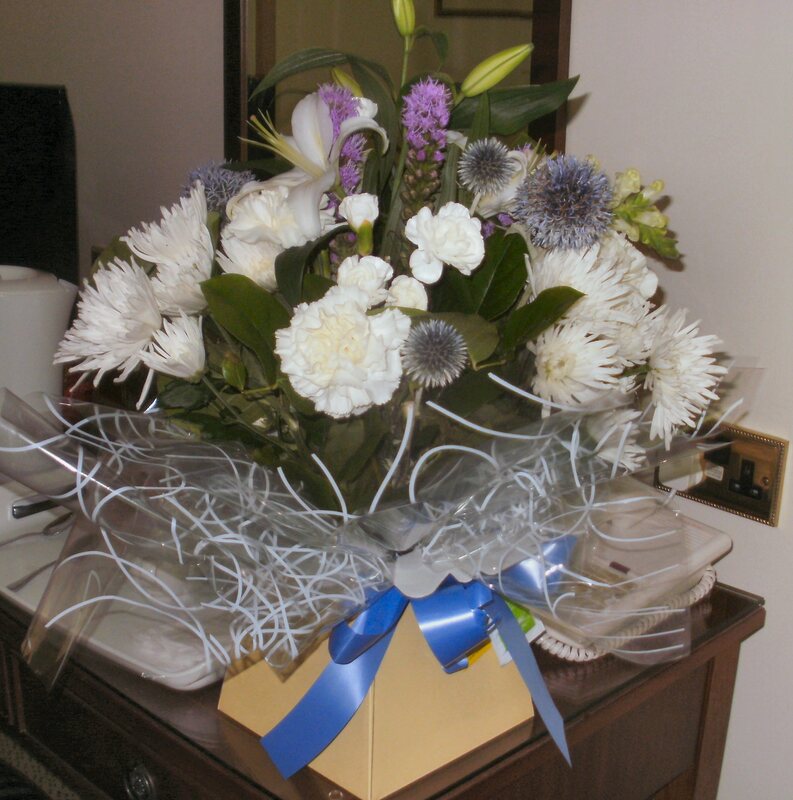 Also thank you both for the lovely bouquet you gave me and thanks for making us part of your special day. Looks like a great occasion indeed, Oonah. Did you read the poem aloud on the day? I did Marion 🙂 That’s why I got the bouquet — wasn’t expecting that! It was a lovely wedding. A lovely memory! Love the poem! And happy anniversary to you and Noel – a day late!